Edel Assanti is pleased to announce that Yoshinori Niwa's film and performance 'Exchanging between Turkish Lira and Euros in Istanbul until there is nothing left' (2011) has been acquired by the Kadist Art Foundation (San Francisco/Paris). 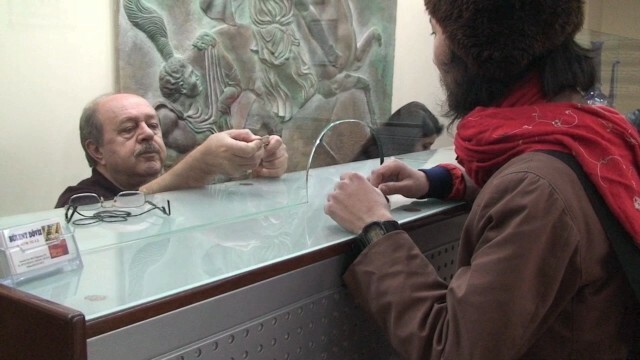 In the acquired piece, Niwa repeatedly exchanges between currencies in Istanbul's old market in various outlets, until he has no money remaining. Four works from the artist's Communism series were rececently screened as part of a special presentation at the Mori Art Museum in Tokyo, Japan. In November of 2017, Edel Assanti will also present Yoshinori Niwa's second solo exhibition at the gallery.